Profesional Indianapolis Mom Blogger talking about parening, food, entertainment, and activities to do with your kids. When I hear that a vehicle is “all-wheel drive”, I don’t ever picture it being particularly “sporty”. I don’t really know why, I just always picture some sort SUV or cross-over that is extremely safe to drive in all weather conditions. 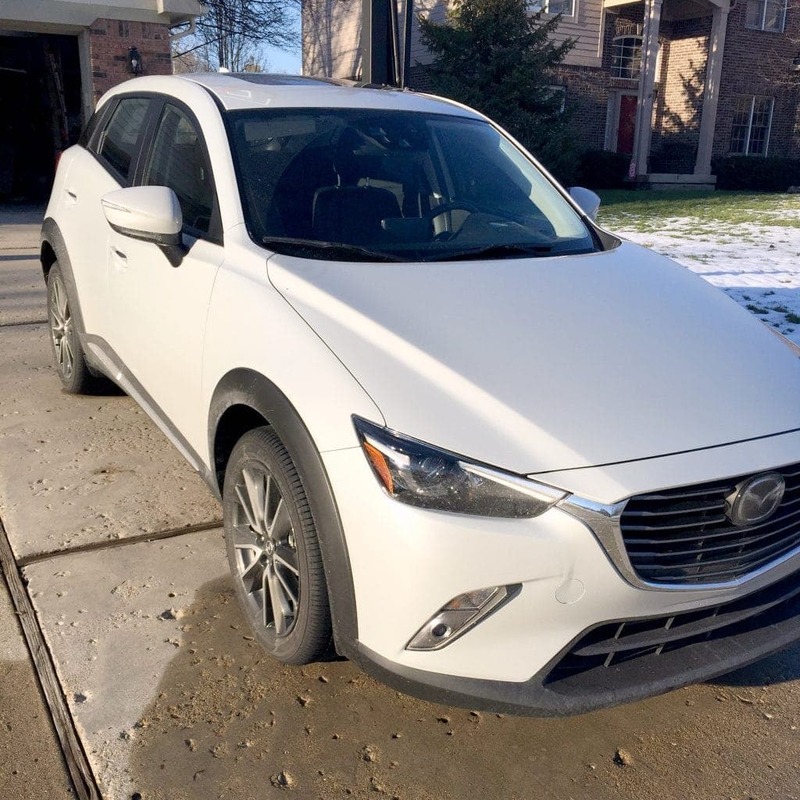 The good folks at Maxda let us borrow the new 2016 Mazda CX-3 a couple weeks ago and completely changed all of that. When I drove home from work to see the car sitting and waiting for me in my driveway, I was impressed with how quick and agile it looked. My first thought was, “this thing looks like it is a lot of fun to drive”. It wasn’t until I took a closer look that I even realized that it was all-wheel drive which was perfect because it snowed while we were trying it out. The Mazda CX-3 is a small car. Only 168.3 inches bumper to bumper and just under 61 inches tall. Even with it’s smaller size, I felt like they made the most out of the interior. The dashboard and interior console is sparse, but in a good way. 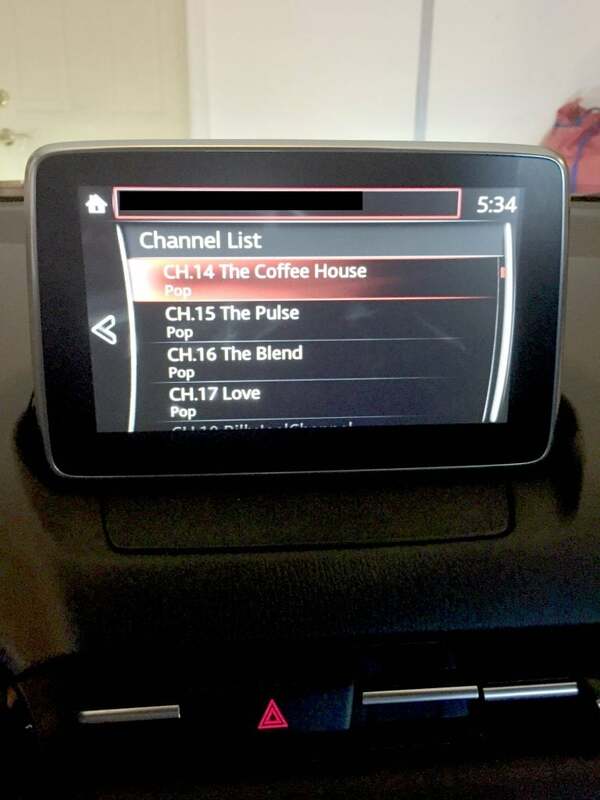 You could navigate through the “infotainment system” with a control know conveniently located between the two front seats. 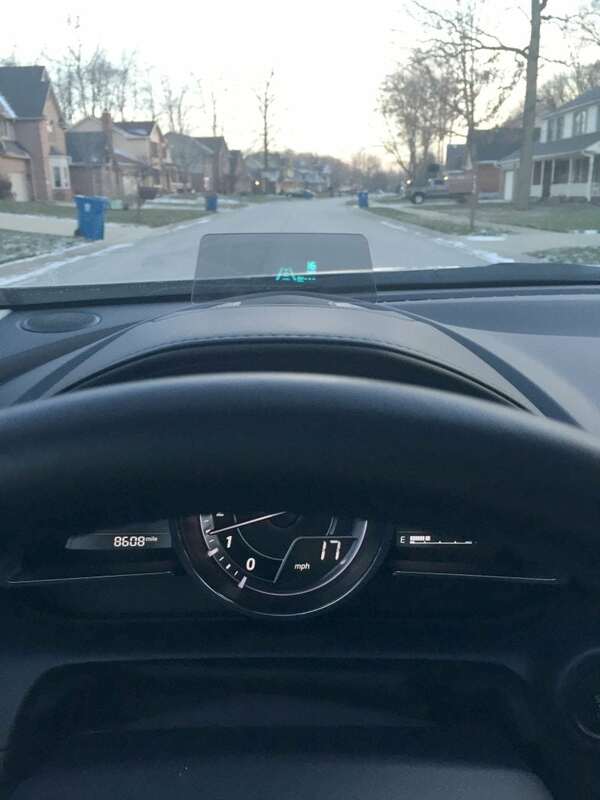 This feature really enhances the safety of the driving the vehicle while mulit-tasking (which we are all guilty of doing from time to time.). It also makes it so the front seat driver and passenger don’t feel like they are crammed in amongst a while bunch of gadgets. The sunroof feature makes the car feel spacious and even larger than it is. The backseat also had a lot more room that I would have thought from looking at the outside of the car. We had a six-year-old and a three-year-old. Their booster and car seats were able to fit in the back with no problem. For a family of four with kids our age, this probably wouldn’t be our primary car, but would be a great second car to have. I say that because as the kids get a bit older there might not be enough room for them in the back seat with all of their sports equipment and homework bags. 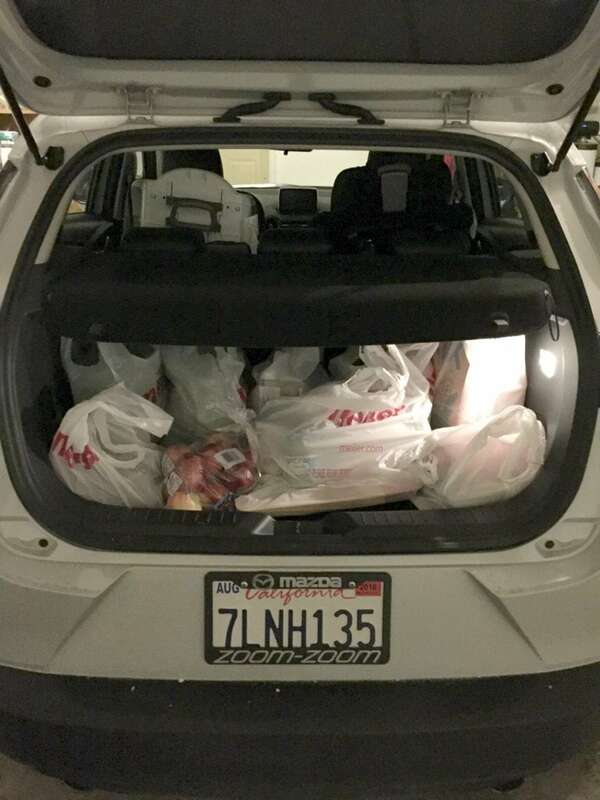 The trunk space is okay for its size, but if your hauling around several kids’ things, it may get a little tight. Now we get to the part I am most excited to talk about. This is the part where I get to tell you about actually driving the Mazda CX-3. This thing CRUISES! It is so much fun to drive. It handles great and has a ton of zip and acceleration with it’s 146 horsepower engine on the small body. 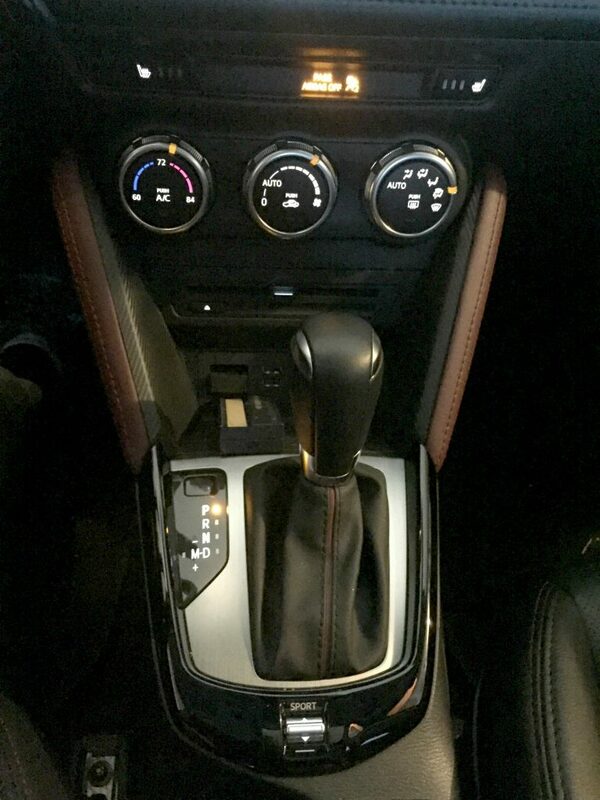 It has a “sport” mode that gives it more power and is perfect for entering the freeway off of an entrance ramp or turning out into traffic. The all-wheel drive handled great in our mid-west January weather conditions. We had a bit of snow fall while we had the CX-3 and I was super impressed with its handling in the snow. I felt safe and while other cars were skidding around on the freeway, the CX-3 was handling the road like a champ. This is a great piece of mid for an anxious person like my wife who despises driving in snow. 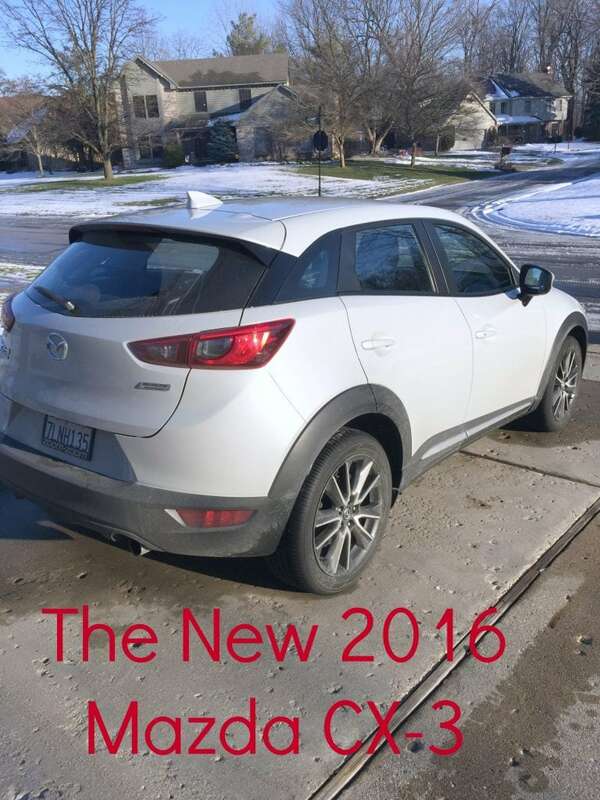 If you are looking for an economical, fuel friendly car that is a ton of fun to drive, I would certainly scoot down to your nearest Mazda dealership and try out the 2016 Mazda CX-3. Kat Hodson is the founder of A Mom's Impression, a wife to a handsome man, a mom to a beautiful girl, a sweet boy, and a first grade teacher. She loves to shop, cook, read, take photos, and hang out with her family. Her life may be hectic, but it is an exciting ride! Get All the latest straight to your inbox! A Mom's Impression is a participant in the Amazon Services LLC Associates Program, an affiliate advertising program designed to provide a means for sites to earn advertising fees by advertising and linking to amazon.com.